Meanwhile, in nastier tone, Washington and its Western allies have denigrated the Venezuelan government as a “mafia regime” and a “kleptocracy”. These are all attempts to blackmail, intimidate and vandalize Venezuela into submitting to a criminal regime-change plan for the South American country. There is no doubt that what’s going on here is another criminal interference in the internal affairs of a sovereign nation by the United States and its European lackeys. And yet these arrogant actors have the cheek to accuse Russia of “interfering in Western democracies”. What is astounding though is that despite the Venezuelan manoeuvre being so blatantly obvious, the Western so-called news media have the audacity to give the orchestrated development a veneer of credibility. The abject servility of supposed Western journalism is pathetic. Anyone with an open mind knows that in Venezuela it is a classic demonstration of motive and means for regime change. The motive is Venezuela’s vast natural oil wealth, believed to be the biggest known reserves of hydrocarbons on the planet. Augmented to that factor is the country has been governed for the past 20 years by socialist administrations committed to developing the wellbeing of the nation, instead of pandering to Western capital. Present economic woes are due to years of American sanctions, or financial warfare. As for means, the events in Venezuela are following the US playbook for regime change used in countless other countries, most notably Ukraine. Washington has bankrolled opposition groups some of which have Neo-fascist tendencies, using violence, sabotage and murder to destabilize the country. The opposition figure, 35-year-old Juan Guaido, and his far-right Popular Will party have been trained by the American CIA for this very moment, according to investigative journalist Max Blumenthal. From recent obscurity, Guaido has been catapulted onto the international stage by dubious American political and media support, exalted as a “democratic champion”, even though his Neo-fascist fringe group has been involved in hundreds of killings, including against Venezuela security forces. This week, Guaido, who has declared himself “interim president”, claimed that his wife and family were “intimidated” by Venezuelan security forces. It was an unconfirmed claim, but widely aired by Western media outlets as if it were fact. Then, right on cue, the Trump White House “responded” by saying there would be “serious consequences” for the Venezuelan government of elected President Nicolas Maduro. Further on cue, Guaido then hinted he would accept US military intervention for “protection”. This is a close replay of what happened in Ukraine in 2014. The elected president of that country, Viktor Yanukovych, was demonized and delegitimized by a relentless Western media campaign, while violent Neo-Nazi groups, bankrolled and trained by the CIA, were lionized as a “pro-democracy” movement. We only have to look at the ensuing chaos, corruption and conflict in today’s Ukraine under the rule of a Neo-fascist regime in Kiev to readily see what US-backed “democracy” translates into. What Washington is doing in Venezuela is flagrantly illegal. 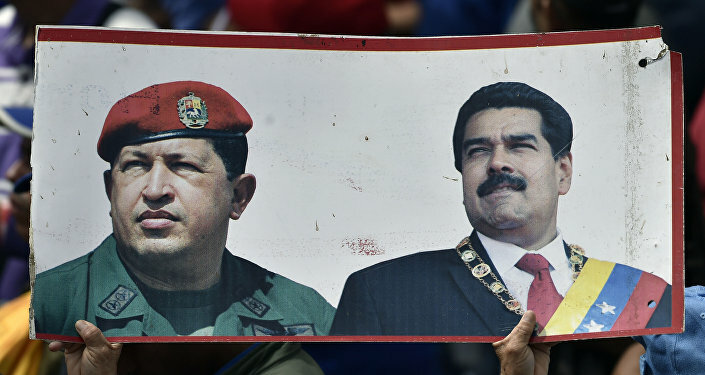 President Maduro was duly elected last May. He appears to have the support of the majority of the population. Yet a minority opposition faction which is predominantly affiliated to the traditional ruling class has been transformed by Washington and its dutiful media into a just cause for democracy. The regime change underway in Venezuela is perhaps the most brazen yet. Washington intends to confiscate financial assets belonging to the state oil company and hand over billions of dollars to opposition groups led by Guaido. This grand theft of a nation’s entire wealth and the subversion of government is being played out in front of the whole world. Russia has vowed that it will do everything to support the legitimate government of President Maduro. Moscow is not alone. China, Iran, Turkey and other nations have denounced what Washington is daring to do. However, it is incredible how European governments and media have gone along with this American-led lynch mob to violate Venezuela. You would think after the regime-change disasters that Washington has perpetrated in Syria, Libya, Ukraine, among many other places, that there would be some pause in Western media. Not a bit of it. As soon as the regime-change plot kicked-in in Venezuela, the Western media and European governments followed suit like lapdogs to the American agenda. This is brainwashing, Pavlovian style. Russia and those other countries mentioned above are commendably upholding international law and sovereign rights of nations to be not molested by external aggression. Moscow has no doubt learned harsh lessons from US and European duplicity. Russia was caught out by the dirty trick of regime change in Libya. That’s no doubt why it has taken a much firmer, critical stance over Syria and Ukraine. 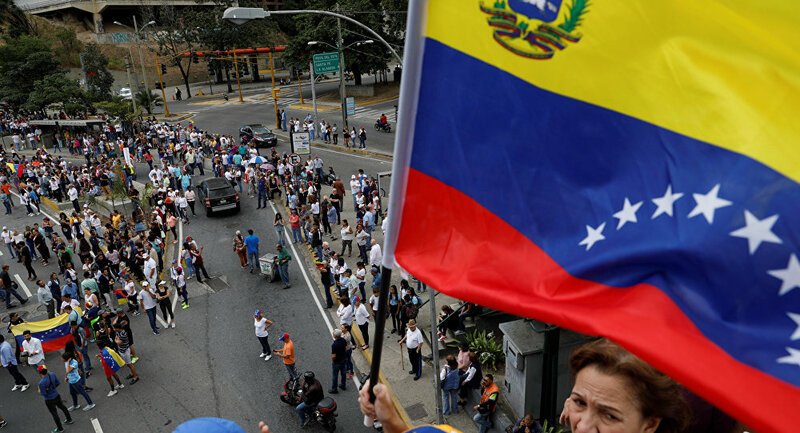 Russia is right to draw another critical line regarding Venezuela. If the US and its pathetic European minions get away with their crimes in this strategically important country, then the damage to international law will be immense. It will be open season for regime change everywhere. Anyone with a sense of justice and concern for world peace knows that the imperialist bully in Washington has to be stopped. Venezuela is a moment of truth.